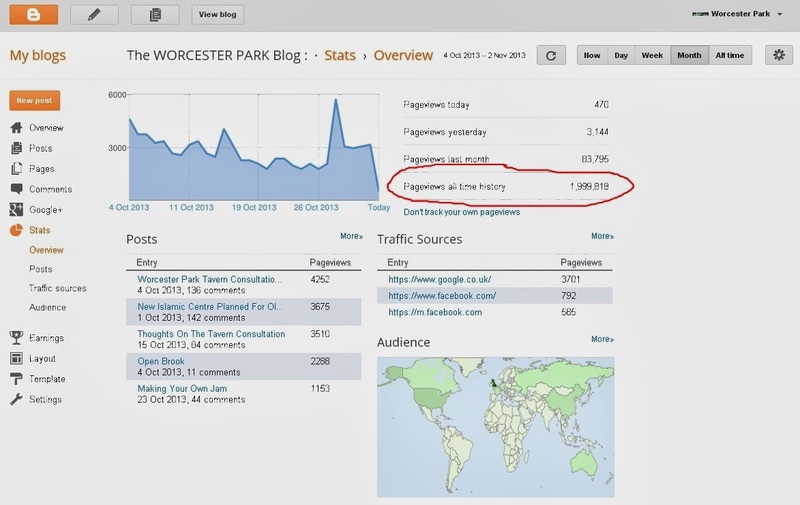 We've done it! Well actually you, the readers have done it. 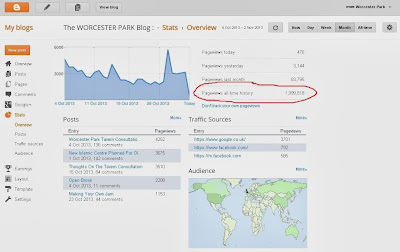 The Worcester Park Blog has received its 2,000,000th viewing (that's two millionth) within the last few hours. 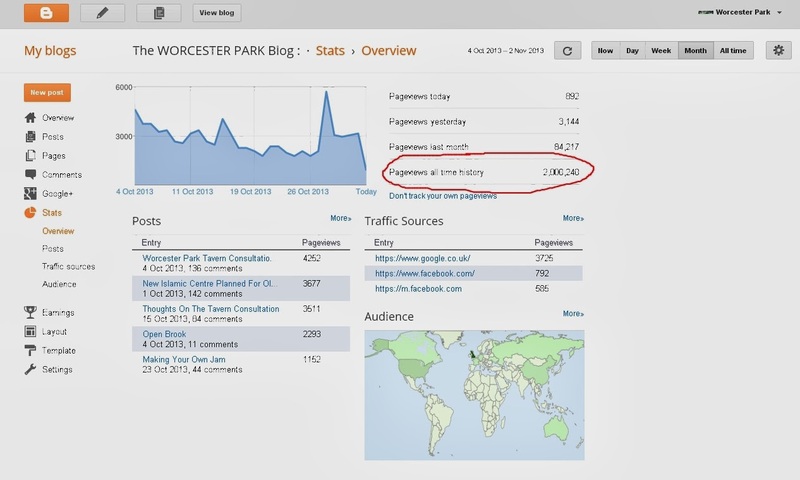 The actual two millionth hit probably occurred some time close to midday today. I was out at the time and these two screenshots, taken just before 10am this morning and just before 3pm this afternoon shows that the magic hit number 2,000,000 most likely happened between 11:30am and 12:30pm. If you think that might have been you - then congratulations to you! To celebrate, the blog has organised a 'have a drink with the blogger and other blog readers' event at the HG Wells this coming Thursday evening at 7:30pm. Everyone is welcome and the identity of the blogger shall be revealed. Keep an eye on the TV screen there to watch it unfold. Jack, the manager there has organised free sandwiches and snacks for the occasion. 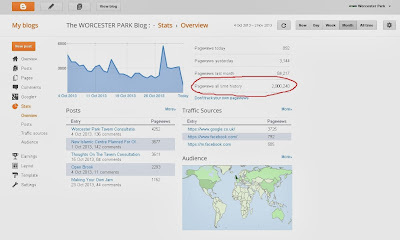 Thanks to everyone who has supported this blog over the years. It wouldn't still be here if it were not for you guys actually reading this stuff. It's great to read all the comments too. Thanks.